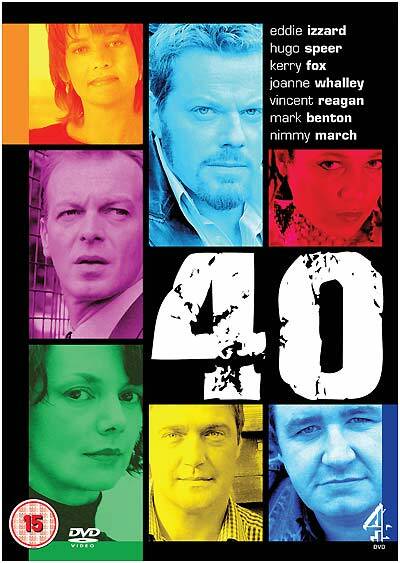 4 DVD will release the memorable 2003 drama series 40 on DVD on May the 19th. The series featured Eddie Izzard, Joanne Whalley, Hugo Speer and Kerry Fox. The full press release can be found in its Incoming record, here. Lots of new titles have been added to the Incoming database this week, and more links and details have been added to existing records. There are a quite a few newly-listed theatrical releases, including The Golden Compass (on DVD and Blu-ray); St Trinians (on DVD and Blu-ray - out this week); Aliens Vs Predator: Requiem (on DVD and Blu-ray); Cloverfield (on DVD and, eventually, on Blu-ray); Balls of Fury; Charlie Wilson's War; Mr Magorium's Wonder Emporium; and Alvin and the Chipmunks (also released this week). New TV titles listed or updated with details include Gavin and Stacy - Series 2; the feature length Stargate SG-1 special The Ark of Truth; Frasier - Season 10; Jericho - Season 2; and Howards' Way - Series 5.